It's been a few months since the last sale on App Store and iTunes gift cards, but this week both Costco and Sam's Club have debuted new sales for anyone who has been waiting to save on iTunes credit. In each sale, you can get the $100 iTunes gift card for just about $85, which matches the solid 15 percent discount on iTunes gift cards occasionally seen at other retailers. Of course, for both Costco and Sam's Club you'll need to be part of each respective retailer's membership program to see the discounts. At Costco you can get the $100 iTunes gift card for $84.49, and it'll be delivered in the form of an e-mail within a few hours of purchase. The sale will last through April 21, 2019, and you can find more information on Costco's membership program here. At Sam's Club, you can get the $100 iTunes gift card for $84.47, but the caveat is that this comes in the form of a $25 4-card multipack, not a single $100 gift card. The multipack will also have to be physically shipped, but if you're near a Sam's Club retail location you have a chance to buy the gift cards on sale in person as well. Like Costco, this sale ends on April 21, 2019, and you can find more information on the membership program at Sam's Club here. 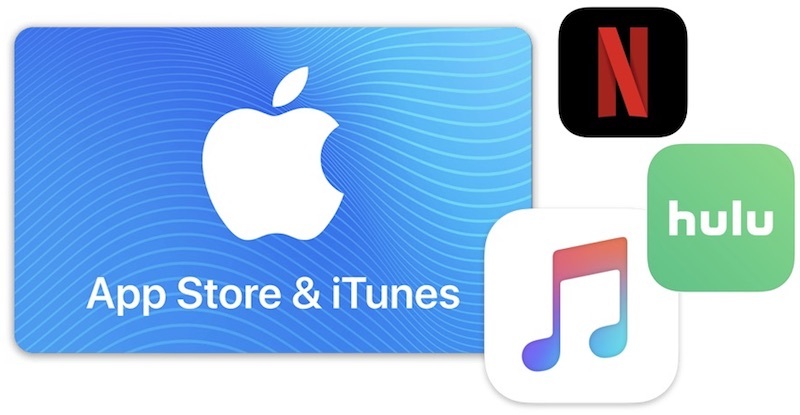 Deals on iTunes gift cards provide great opportunities to stock up your Apple ID with credit for iTunes Movies rentals, iBooks purchases, and even pay for your Apple Music, Netflix, or Hulu subscriptions. So be sure to visit Costco and Sam's Club before each deal expires on Sunday, and head to our full Deals Roundup for more details on the latest sales and bargains happening this week. Best way to get Apple Music for $7.05 a month instead of the standard $10. Get one year ($99) paid with these discounted cards. Since it applies to everything online, there’s really no reason to have your credit card billed for everything you download/stream from Apple.